How did people escape on the Underground Railroad? What was it like to land on Ellis Island?How did it feel to travel the Oregon Trail in a covered wagon? Ellen Levine has revealed worldsof fascinating adventure with her nonfiction books for young readers. “Real heroes,” Levine says, “aren't necessarily on TV or in the news. They can be ordinarypeople who are willing to take risks for causes they believe in. Nonfiction offers a way tointroduce young readers to real people who have shown tremendous courage, even when facedwith great danger. All of us have the potential. And one doesn't have to be a grown-up,” sheadds. Ellen Levine is the author of many acclaimed books, both fiction and nonfiction. Among them:If You Traveled West in a Covered Wagon, If Your Name Was Changed at Ellis Island, I Hate English!, If You Lived at the Time of Martin Luther King, and Secret Missions. Her recent book, Freedom's Children: Young Civil Rights Activists Tell Their Own Stories, was named one of the Ten Best Children's Books of the Year by The New York Times, and Best Book for Young Adults by the American Library Association. Ellen divides her time between New York City and Salem, New York. 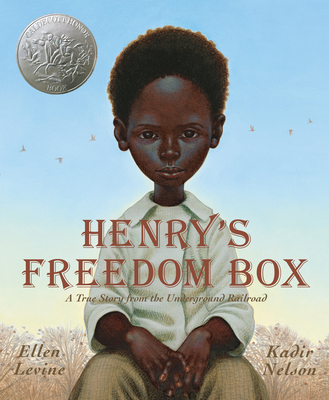 Kadir Nelson illustrated two Caldecott Honor Books: MOSES and HENRY'S FREEDOM BOX. ELLINGTON WAS NOT A STREET by Ntozake Shange won the Coretta Scott King Award. Will Smith’s JUST THE TWO OF US won an NAACP Image Award, and his new book, WE ARE THE SHIP continues to garner major awards. Nelson showed artistic talent at age 3 and began working in oils by age 16. He lives with his family in San Diego, California.